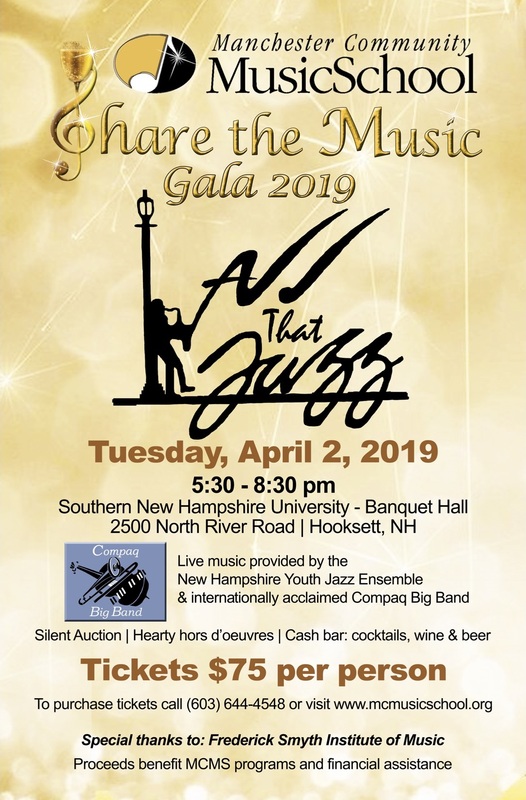 Live music provided by the New Hampshire Youth Jazz Ensemble and the Compaq Big Band. Silent auction, hearty hors d'oeuvres, cash bar with cocktails, wine, and beer. To purchase tickets, please call (603) 644-4548. For more details, see mcmusicschool.org/share-the-music/.